Juventus look set for another successful season this year, but reports claim that Paul Pogba, Matthijs de Ligt and Jean-Clair Todibo form their ambitious transfer shortlist. The Bianconeri sit eight points clear in Serie A after 13 games, winning 12 of those 13 outings thus far as they are well on course to secure an eighth consecutive Scudetto. Their slip up against Man Utd last time out in Europe could complicate their bid for glory in the Champions League, but with Cristiano Ronaldo now leading their line, they’ll be confident of enjoying a deep run in that competition too. 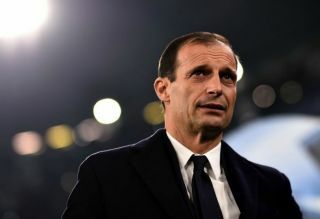 With that in mind, it looks as though Massimiliano Allegri and his players are all set to launch another serious bid to win major honours, but it’s reported by Tuttosport that Pogba, De Ligt and Todibo are all being eyed as potential reinforcements moving forward. Contacts are said to be continuing between Juve and Pogba’s agent, Mino Raiola, while he also represents De Ligt and so talks could be ongoing over a deal involving him too. Meanwhile, Todibo has impressed for Toulouse, and with his contract set to expire next summer, he is being considered as a potential option to bolster the midfield too, as per the report. Particularly with regards to prising Pogba and De Ligt away from Man Utd and Ajax respectively, it does seem like an ambitious plan from the Turin giants, and so it remains to be seen if they have the necessary finances and appeal to convince both players to join them. Pogba of course enjoyed a stellar spell with them prior to returning to United in 2016, and so perhaps a return to Turin could help him rediscover that level of form which saw him emerge as one of the top midfielders in Europe. As for De Ligt, the future is certainly bright for the Dutch starlet, as he has already made 74 appearances for the senior Ajax side and has earned 11 caps for the Netherlands, all at the age of just 19.